The first Mercedes S Guard W222 in Russia was handed over to the hands of experienced professionals from Topcar. 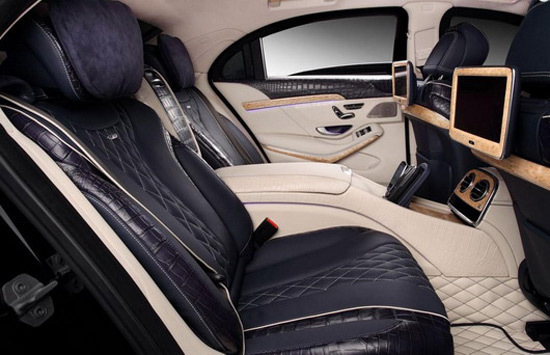 The owner opted for two-tone interior, black and blue combination, and upholstery made ​​from crocodile leather. 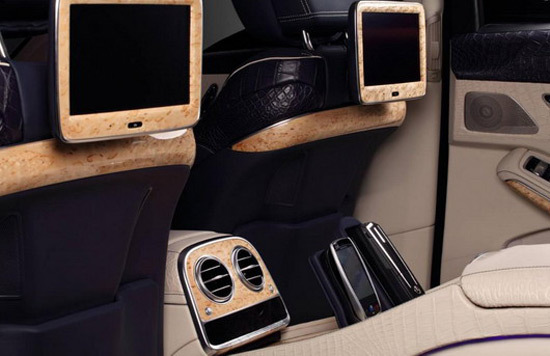 Tuners from Topcar already worked ‘crocodile’ finishing in 2012, when they equipped previous-generation of S-Class in the Guard version. 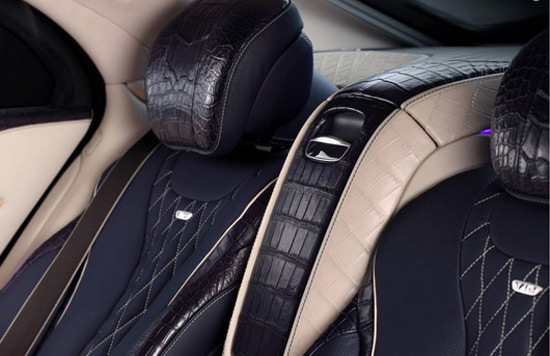 This time they combined crocodile leather with soft Nappa leather and the contrast stitching in a diamond pattern, which can be found on the floor mat. 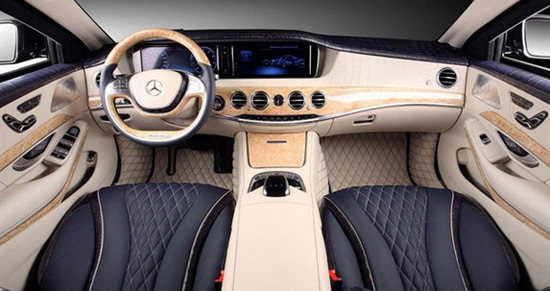 Mercedes On Guard is based on the S600 version and a 6.0 liter V12 bi-turbo engine with 530Hp and 830 Nm of torque. The vehicle received the highest certified protection against ballistic missiles in the class VR9 and is equipped with components of special types of steel embedded between the basic structures and body panels. All windows are coated by polycarbonate, and there are numerous other systems to protect the car against various attacks from the outside. Next article Would You Sleep In These Hammocks Suspended Hundreds Of Feet Above The Ground? Would You Sleep In These Hammocks Suspended Hundreds Of Feet Above The Ground?